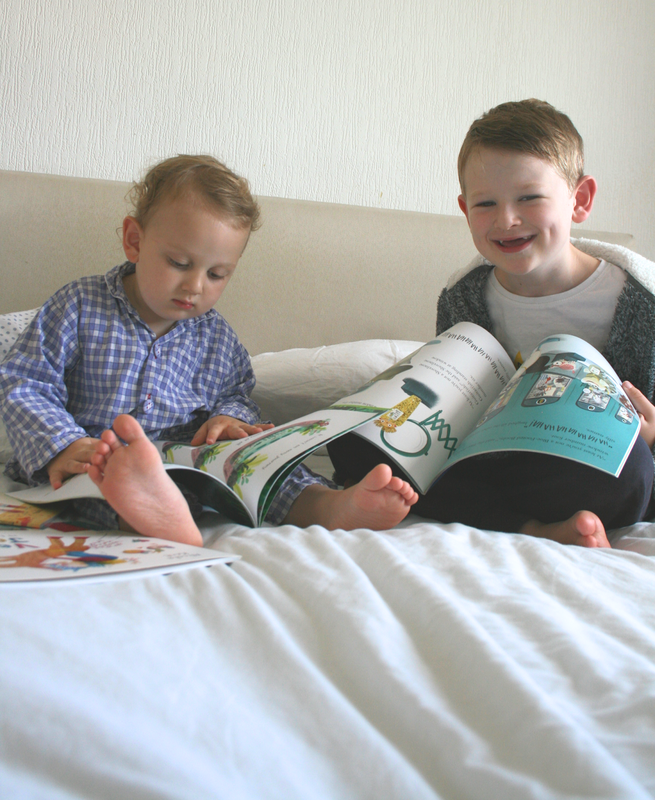 I love reading with my kids; I just think it's such a lovely experience to share with your child. 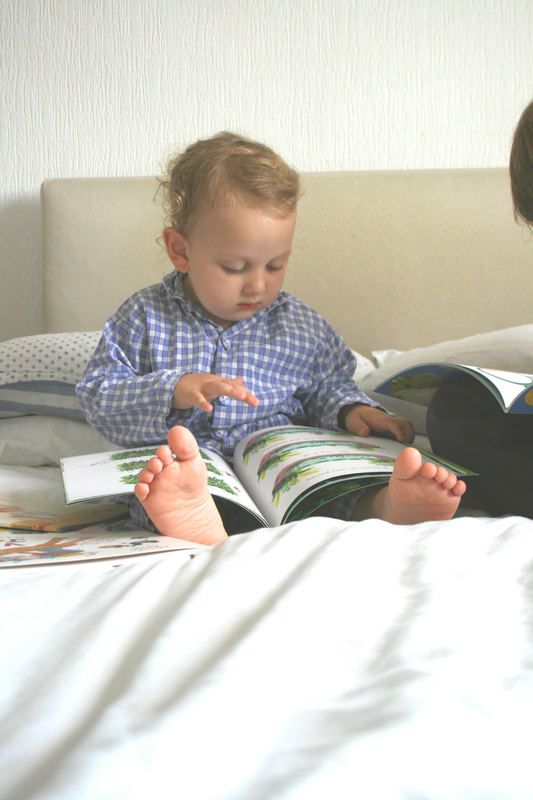 From the moment they first grab hold of those little board books and start turning the pages it's a whole new world for them to step into. I remember starting to read TJ actual story books at bedtime when he was still a toddler and even though he was still learning to walk and talk he would babble away and point as I read. I've always loved the escapism of reading and really hoped to pass on a love of books to my own little ones. 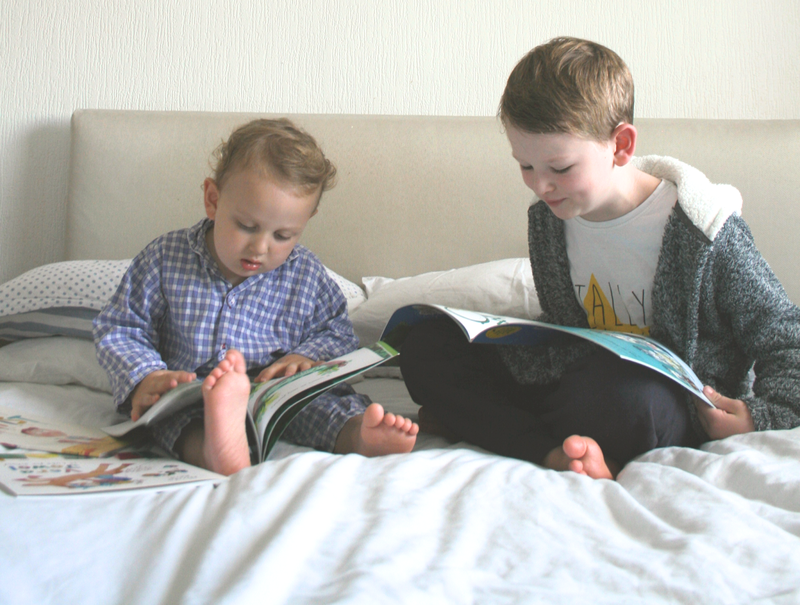 It goes without saying that reading is so beneficial for children; it encourages their creativity, expands their imagination and helps to develop their learning skills. 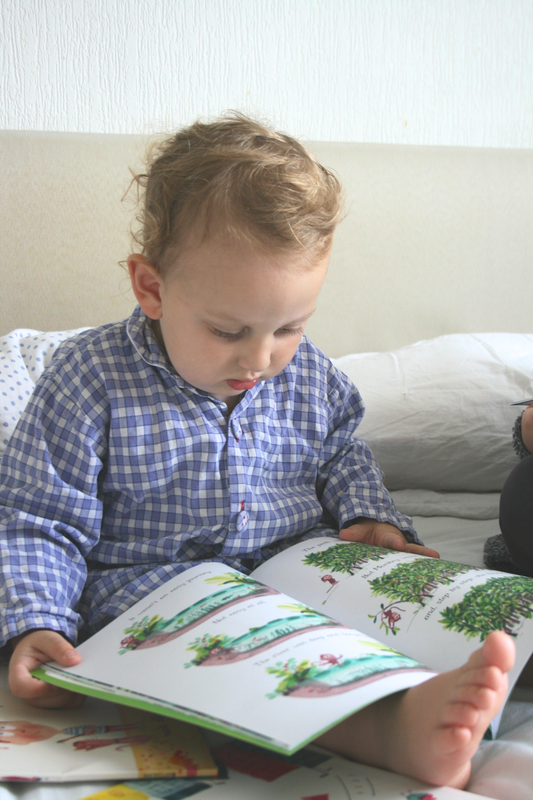 Book Trust say research has shown that children who read for pleasure even do better at school. One thing I've noticed now TJ is older is how much story telling helps when it comes to problem solving too; being able to relate to a character or their situation gives them that confidence to express their own feelings and talk more easily about problems they're having. If we're dealing with nerves, worries or even just grumpy days, telling stories is an amazing distraction and really eases tension. 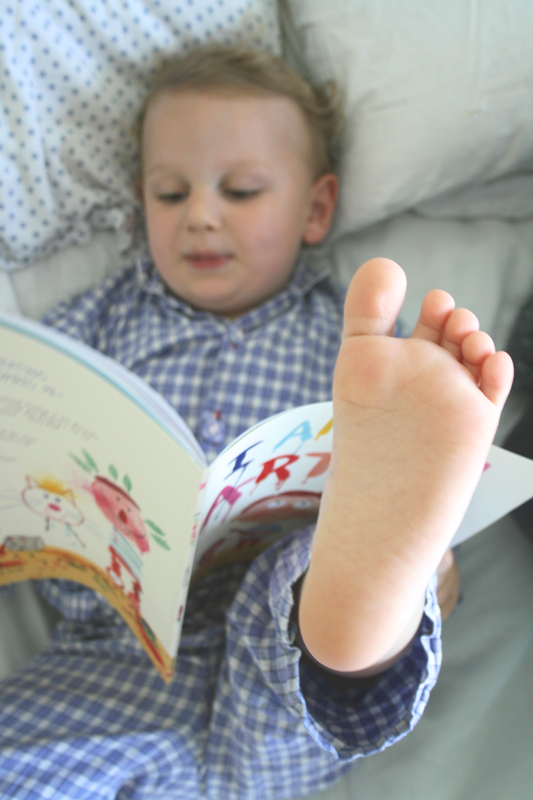 We always end our day with a storybook; Little E has just started to say "Story" before bed now! Bath, book and bed is a routine I've always done; partly because I remember that cosy routine as a child myself and partly because it makes sense as a relaxing way to end the day. 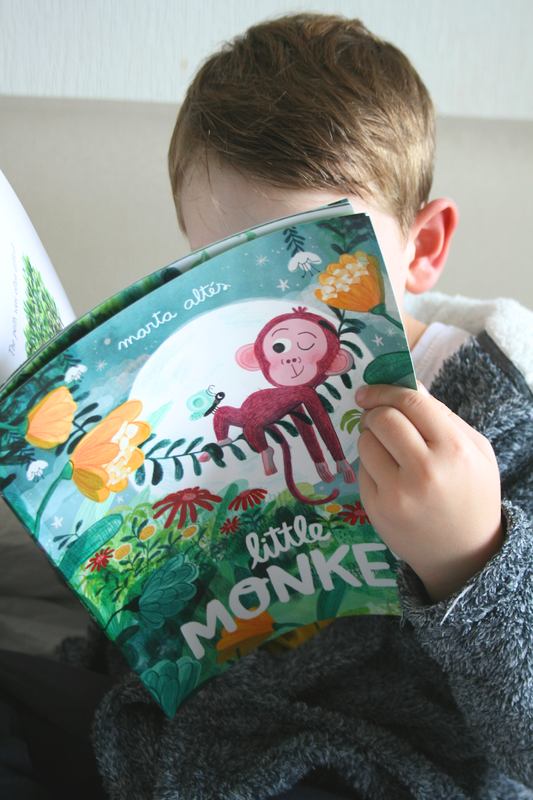 We read a shorter story with more pictures for Little E then when he's asleep either me or Joe will read a few chapters of TJ's current book - He's currently working his way through the David Walliams books which he loves! - We're reading "Bad Dad" at the moment. He is an absolute book worm which makes me so happy! I love that he gets so much out of reading and how he gets so absorbed in stories.I love our special time together before bedtime where we're snuggled up with a book and talking about the characters and what might happen next. It's such precious time as it won't last forever...! 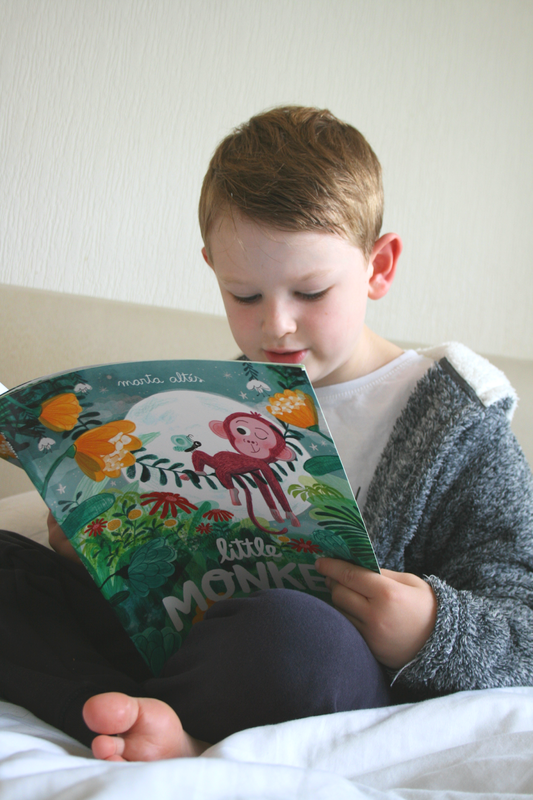 This year the Book Trust's Time to Read Campaign are spreading their enthusiasm for getting kids and their families reading together by giving every reception aged child a copy of "Little Monkey" by Marta Altes. It's such a lovely book to share, both my boys loved it. Its so sweet and colourful, and really easy reading. 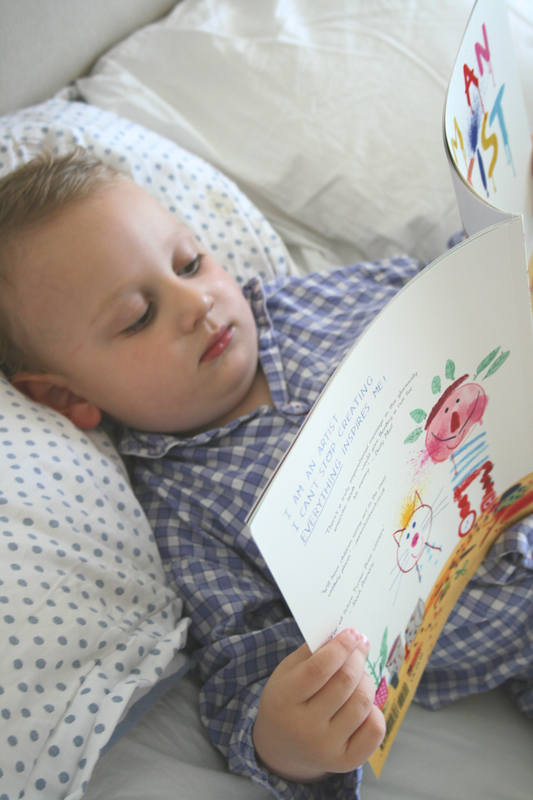 It's the perfect story book to cuddle up with together! 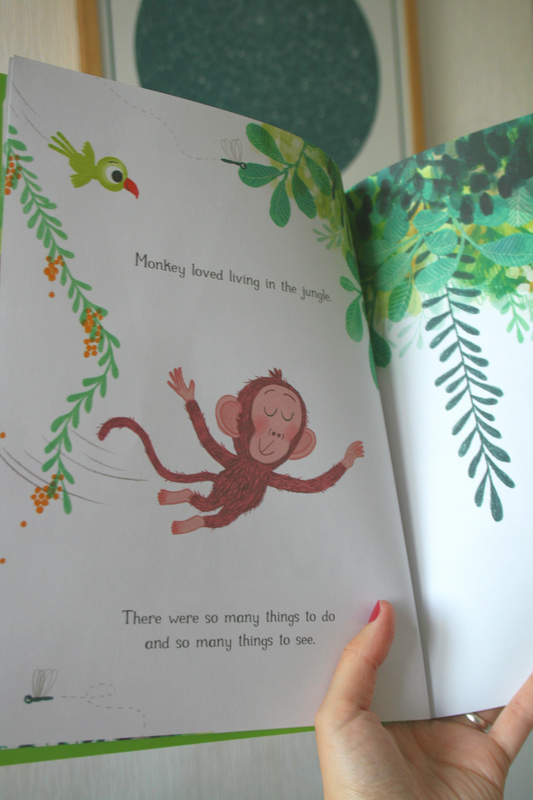 It's an appealing tale for children as it tells the story of a little Monkey in a big jungle, something most little ones can relate to; feeling small in a big world. She's a brave monkey though and and we loved how she proved you can do anything no matter how small you may be. 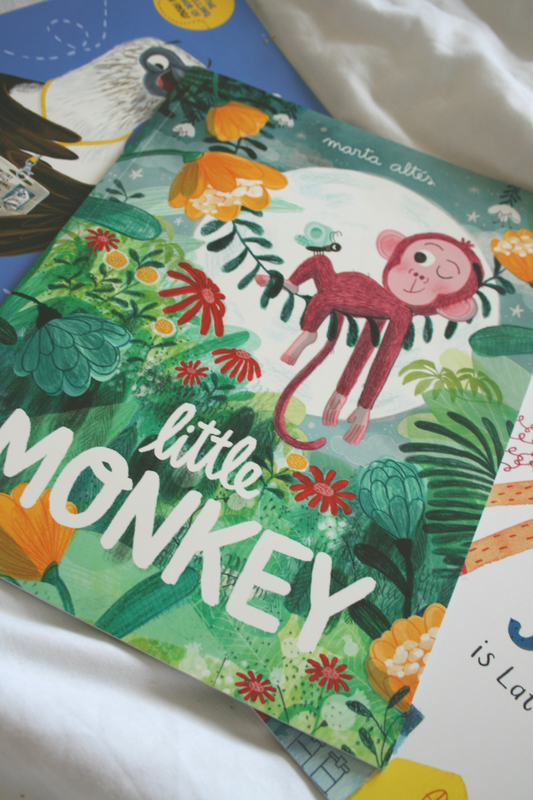 Book Trust were kind enough to send us "Little Monkey" with a bundle of books to read together and have also given us another set of them to give away! 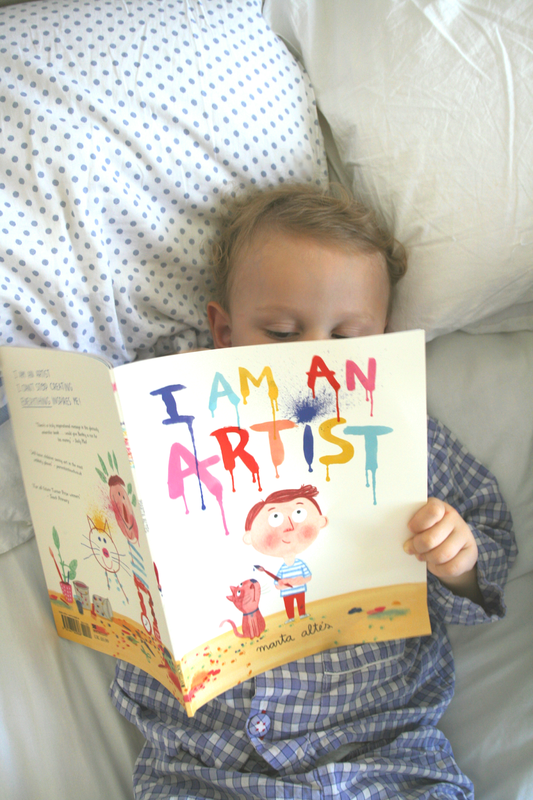 The boys loved them all; Little E was fascinated by all the colours in "I am an Artist" which is about a very creative little boy, someone we all agreed was just like his big brother and his crafting! TJ loved "You're called what?!" 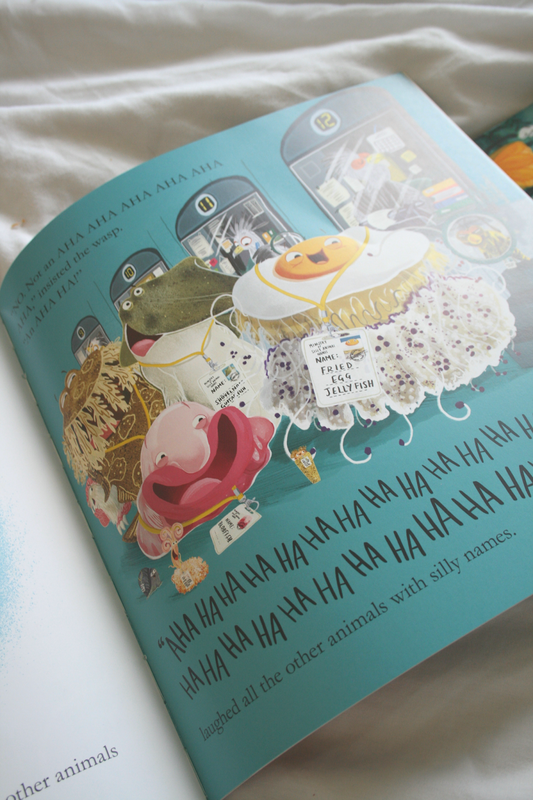 as it made all of us laugh a lot; it's a hilarious book about animals with silly names - just the perfect kind of thing for his age but the adults loved it too! We've read "Vera Jewel is late for school" a few times this week - Its another colourful story book and rhyming stories always go down very well here. 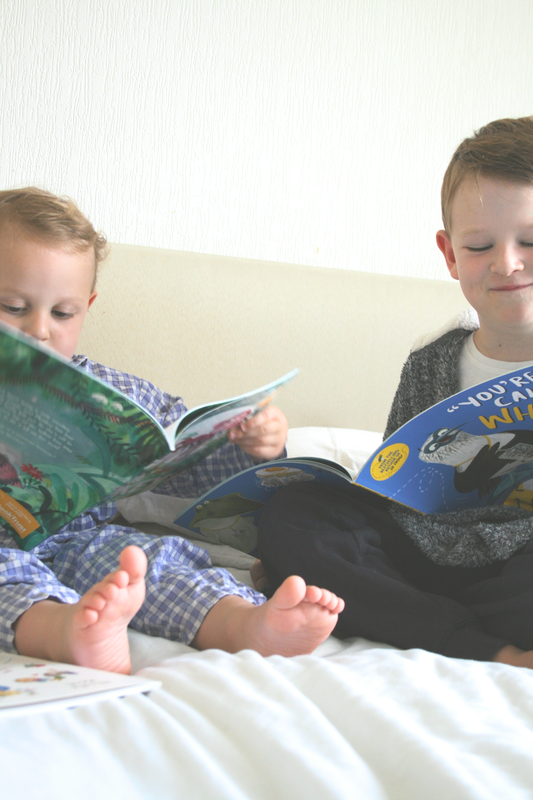 The boys were so excited to get stuck into the books, TJ read some by himself and Little E flicked through pages doing a great impression of a fluid reader babbling away to himself! We've read them together a few times and they're already firm favourites. I love books like this that are so easy to pick up but keep them engaged and curious. There are plenty more things to spot on each colourful page every time you read them. 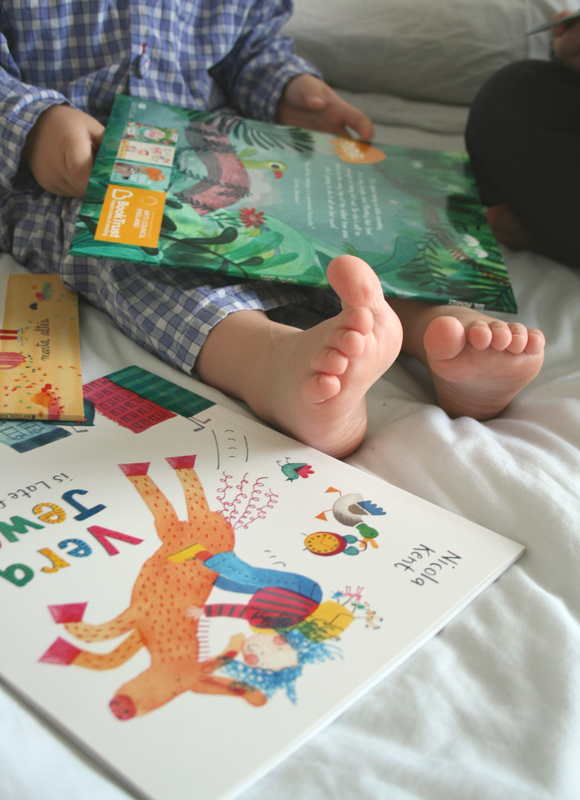 This week as well as promoting their Time to Read campaign, Book Trust are also hosting a party over on Twitter (20th September 8pm-9pm) where they'll be talking all things books and reading with children. They'll also be giving away five £20 book vouchers; just use #Timetoread to join in. 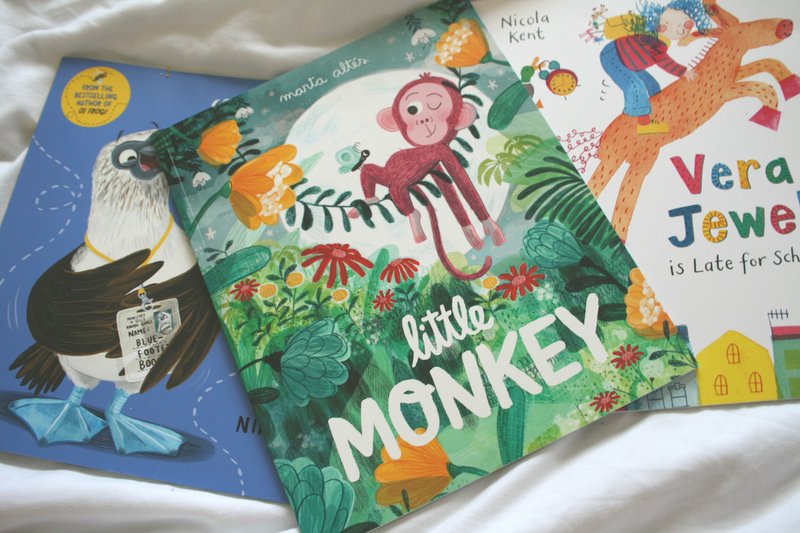 If you'd like to win a bundle of books like the ones we've been reading just drop me comment below and share your favourite book to read with your little one! Hope to catch you over at the #Timetoread party!